Zambrano’s novel was not a light and fluffy read. You know, from the beginning, that the story teller is struggling. You know that she is coming to terms with her own life as it is now. You know that the author will make you, the reader, feel uncomfortable. 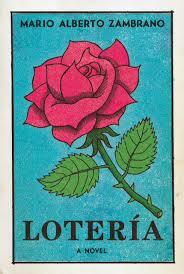 Loteria is not a “beach read” though you would have found this author on the banks of the Shuswap reading this work of art in the summer of 2014. Recommended for those who like to read a story unfold as the story teller is, herself, uncovering her truth and her sadness.